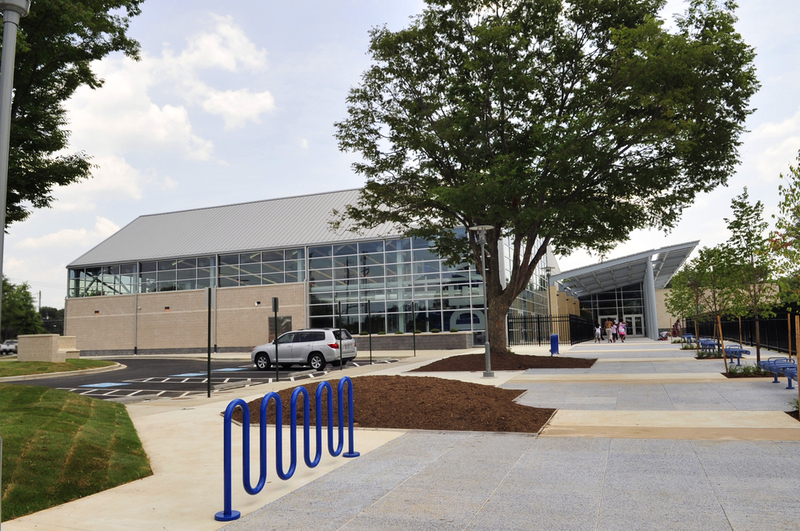 The Largest Recreation Center build in Washington DC. Banneker served as construction manager for the Deanwood Community Center and Library, a 63,000 square foot community center and library located in the Deanwood neighborhood of the District of Columbia. The new facility includes co-located functions of the Department of Parks and Recreation and DC Libraries. The largest recreation center ever built in the District of Columbia. It includes an indoor swimming pool, locker rooms, gymnasium, game room, library, childcare facilities, senior services area, kitchen, and multi-purpose facilities. The facility is designed and will be constructed to meet the requirements for LEED Silver certification.